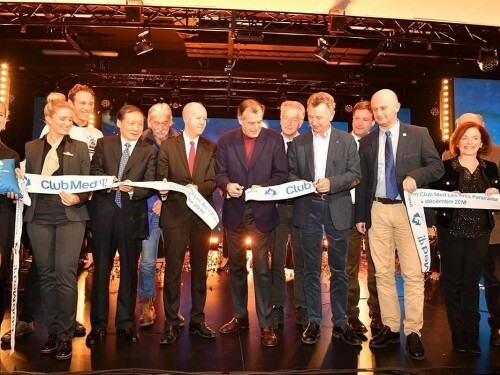 Ski enthusiasts will have a new place to enjoy luxury apres ski this winter, when Les Chalets du Mont d'Arbois, Megève, a Four Seasons hotel, opens its doors on Dec. 13, 2019. After meticulous renovations and more than EUR 10 million of investment, the historic five-star hotel of the Edmond de Rothschild family will be ready to welcome guests. There are three chalets at Mont d'Arbois: Chalet Eve, Chalet Noémie, and Chalet Alice. 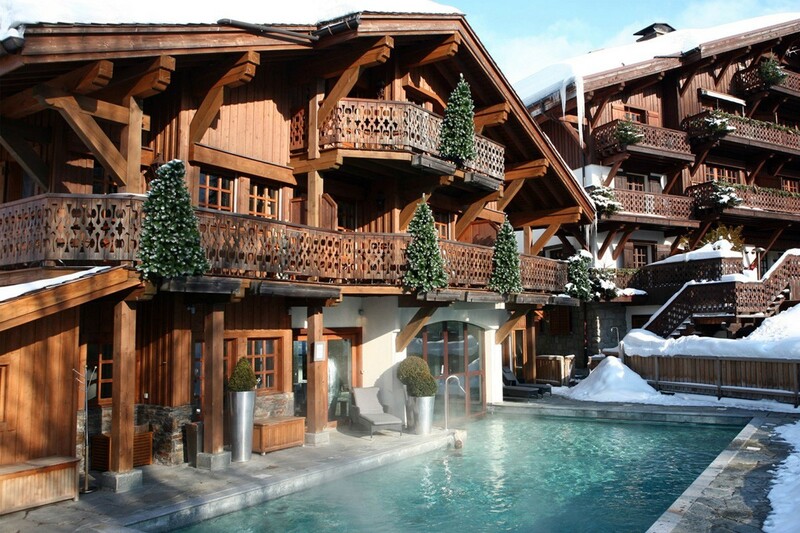 Ideally located at the foot of the ski slopes of Mont d'Arbois in the upper region of Megève, and only two kilometres from the existing hotel, Les Chalets du Mont d'Arbois are named after Benjamin and Ariane de Rothschild's first three daughters. The main chalet, renamed Chalet Eve, was bought by Edmond de Rothschild in 1960 to host a celebration to inaugurate the renovation of the family's very first hotel, Le Palace des Neiges. Along with 25 rooms and suites, Chalet Eve also features the recently awarded Prima Restaurant by Chef Nicolas Hensinger, which now boasts one Michelin Star, adding to the exceptional dining experiences in Megève. Chalet Eve also features a spa with a beautiful indoor/outdoor pool for guests to enjoy the natural surroundings from indoors or outside. Chalet Noémie was built in 1927 for Baroness Noémie de Rothschild by French architect Henry Jacques Le Même, and was initially the family's private chalet. Its location offers the ultimate in privacy, yet features large windows from which to enjoy the idyllic surrounding scenery. The chalet combines the charm of an old farmhouse with a modern twist. Chalet Alice, built in 2005 as an extension to Chalet Noémie, is the most recent of the three chalets. 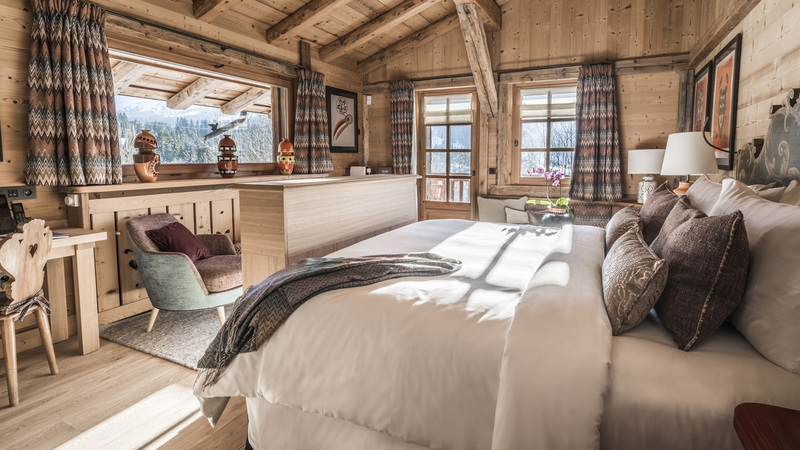 Both Chalet Noémie and Chalet Alice can be privately reserved for guests looking for more exclusivity during their stay, and are the perfect option for those travelling with a larger group of friends or family. Each chalet features its own personality; Chalet Eve has kept its traditional style, Chalet Noémie features classic luxury décor and refined elegance and Chalet Alice offers a bohemian chic atmosphere. The character and décor of each chalet has been curated to offer distinct yet complementary experiences for guests. The timeless decoration of alpine chalets remains throughout, with wood-framed windows, exposed ancient beams, aged pine wood, rough stone and traditional alpine fabrics. The interior materials combine in a playful mix of textures, the tactile fabrics creating an eye-catching look and feel. The Rothschild family has left its mark throughout, with the distinct style of each chalet reflecting Benjamin and Ariane de Rothschild's daughters' personalities.